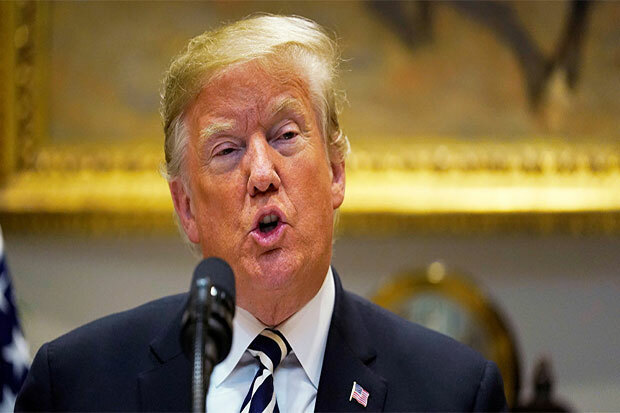 WASHINGTON - US President Donald Trump stated that "illegal caravans" will not be allowed into the country, even though anyone is eligible to apply for asylum at valid ports of entry under current law. "It's like an invasion," he said. The US military has deployed 5,200 troops along the border to reinforce the Border Patrol units already stationed there. Another 7,000 troops are on standby to be called upon if needed. "We hope nothing happens, but if it does, we'll be prepared," Trump said. In Trump's view, the caravans have been professionally organized to storm the borders. "These illegal caravans will not be allowed into the United States, and they should turn back now, because they are wasting their time," Trump said. Trump said people who seek to move to the US "should apply to come into our country, because we want them to come into our country, very much." According to Trump, immigrants should only gain legal status after demonstrating merit. Trump said that violence initiated by members of the caravan, including "throwing stones, rocks," would be met with "maximum" response. Stones and rocks, Trump said, will be considered firearms for the military's rules of engagement, noting that members of the Mexican police had been "badly hurt." "We will consider that the maximum that we can consider that [rock throwing], because they're throwing rocks viciously and violently," the president said in his speech.